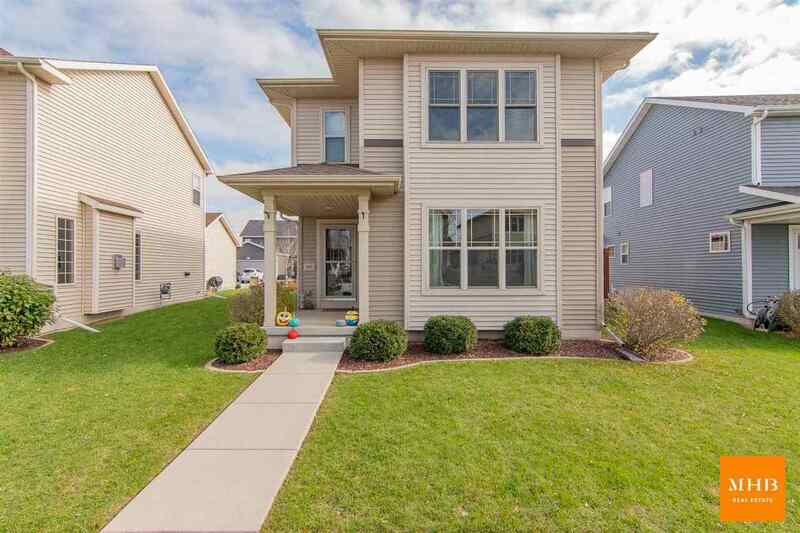 1471 Wild Iris St, Sun Prairie, WI.| MLS# 1845012 | John Reuter Realtor/Broker/Owner of The Reuter Team. Wisconsin Homes for Heroes Realtor. Proud to be the Top Homes for Heroes Realtors in Wisconsin and One the Top Homes for Heroes Realtors in the United States. Contemporary craftsman's in desirable Smith's Crossing neighborhood. This welcoming 3 bedroom home offers an open concept living room/ kitchen perfect for entertaining with access to the outdoor deck to enjoy the fresh air. Master suite complete with walk-in closet & en suite. Two additional rooms & bathroom upstairs along with cozy desk nook. Newly finished LL including a rec/tv room, den & full bathroom. Laundry in LL w/ add'l hookups on first floor. Perfect location from so many amenities including Cosco, Target, new YMCA and much more.